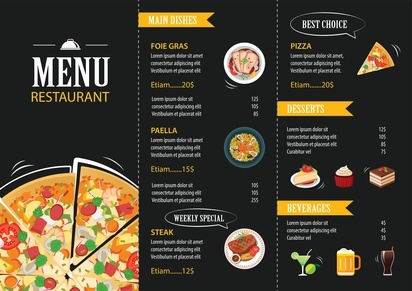 Restaurant Menu Training Made Easy – When you hire a new server, menu training is the first order of business, right? I mean, new servers need to learn how your restaurant was founded, the history, the emphasis on customer service, etc., but they can’t start serving until they know what they are serving. So how do you provide training to new servers, bartenders, hosts, front of house and back of house staff? Do you hand them a menu, have them shadow an existing employee, and hope for the best? Do you give them a test and score it manually to be sure they got it right before going it alone? Upload pertinent documents (menus, uniform standards, policies, etc) to a dedicated folder in the cloud where they can quickly and easily be overwritten as menus change or promotions are rolled out. Documents are linked via a web window within an online training module that includes “check your knowledge” type questions with feedback to reinforce key information, followed by a scored quiz. Quizzes are created using an Excel template and imported into the training module. The module is posted to your LMS (Learning Management System) and assigned to the appropriate staff. Report(s) can be run, or automatic emails sent, to confirm completion status and test scores. The majority of the components mentioned above are already in place. Adding automation in the form of elearning to your training process will shave off hours of manual training, have everyone working “from the same page,” and reduce the confusion and sometimes chaos caused when major or minor changes are made to menu offerings. The result — a more pleasant dining experience and an increase in return customers. Contact Dupont Learning if you want to learn more about this method – or if you would like to see a demonstration using your own menu. Is your Employee Performance Management System swimming against the tide?